The Jordan Museum is a national institution that aims to preserve and present Jordan's rich cultural heritage. Ras al-‘Ayn is located in the dynamic downtown area of Amman. 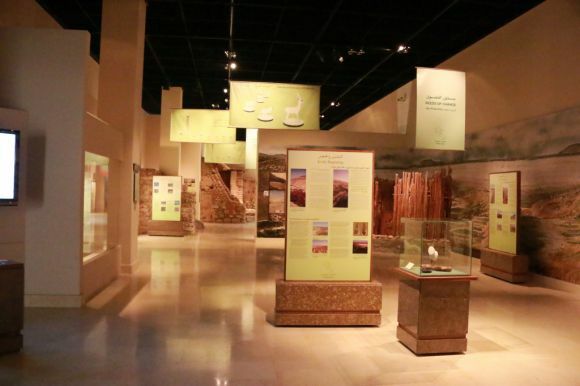 1.5 million years of Jordanian history, cultural heritage and innovation are presented in a series of beautifully designed galleries. 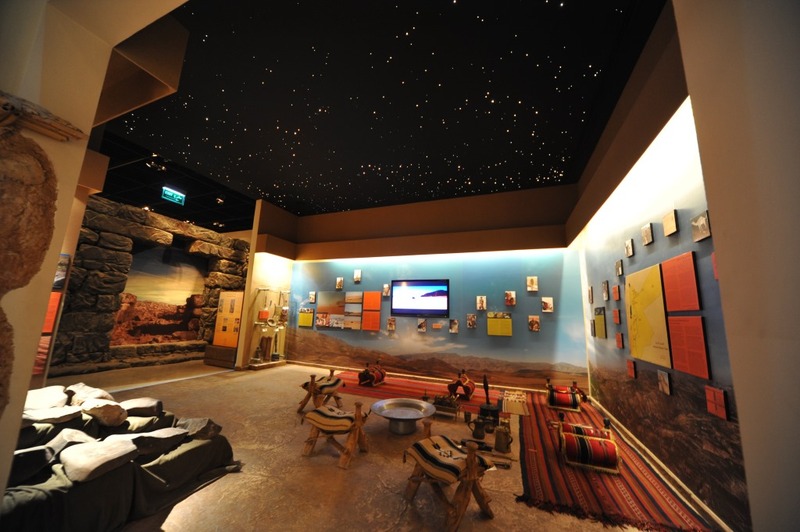 In addition, the Jordan Museum heritage documentation and restoration centre serves as a comprehensive centre for archivists and scholars studying the history and culture of Jordan. The Jordan Museum aims to persuade visitors to explore the cultural sites and cities in Jordan. Two main exhibitions are employed in the galleries; the chronological narrative of Jordanian history presented in nine main themes: the environment, food, art and architecture, cultural interaction and trade, politics and military, industry, communication and writing, religion, and day-to-day life in Jordan. Among the chronological galleries, are complementary thematic exhibits that present specific subjects irrespective of their time. The displays focus is on the story of innovation. The original context and the function of artefacts is emphasised rather than treating them as “objects d’art”. Treasures of Jordanian Art displays unique aesthetic objects from the collection. On permanent exhibit is the most ancient human statues in the world, the 9700-year-old ‘Ayn Ghazal’ statues, and the unique Dead Sea Copper Scroll. In addition to the permanent galleries, there are temporary indoor and outdoor exhibition areas. On a rotating basis, the museum offers the opportunity to explore themes in depth using travelling exhibitions as well as in-house special exhibitions.